Monica Kruszewski is the Knight of Twelve; she is a gentle-looking woman with blonde hair whose appearance masks just how dangerous she can be. She is stationed aboard the Emperor's flagship, Great Britannia. During the attack on Kaminejima, the Emperor leaves her to deal with Schneizel and the Black Knights. 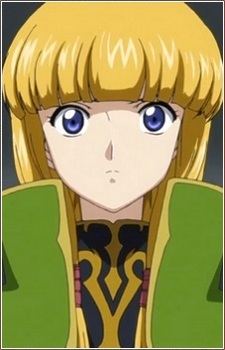 She is killed by Suzaku during the attempt to remove Lelouch from power. She dies in 4 sec, surprised by the enemy without having the time to fight.